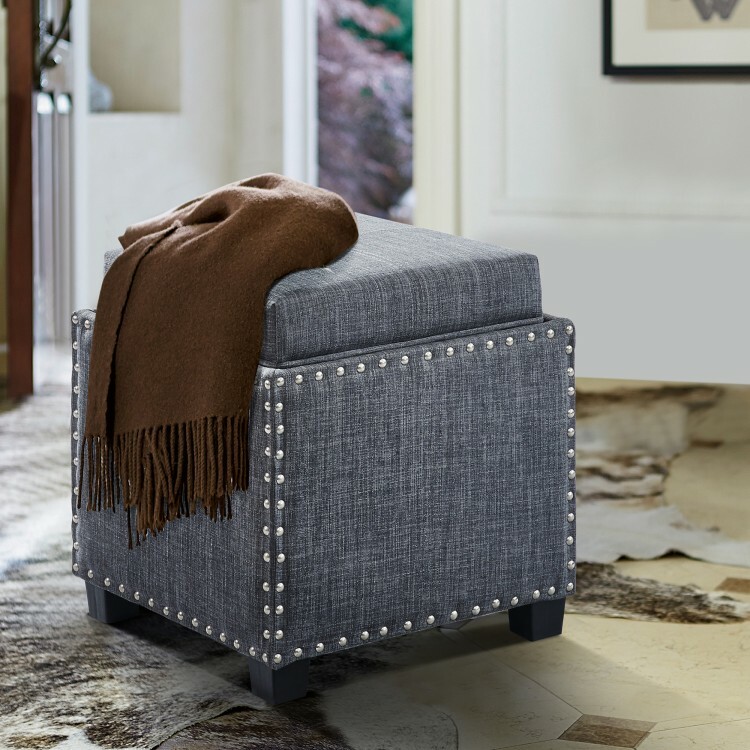 The Armen Living Blaze contemporary ottoman is a great choice for any modern household. 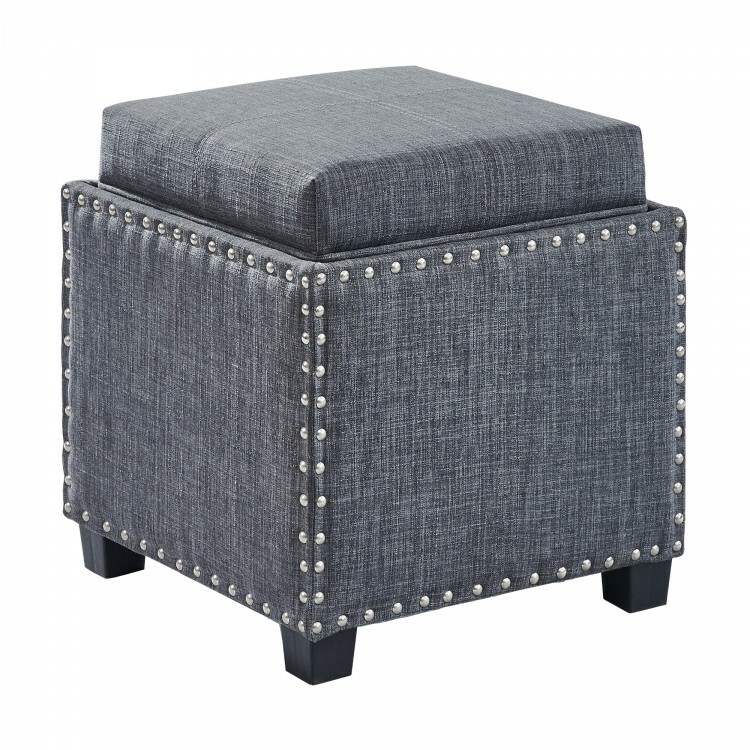 This elegant ottoman features a durable wooden frame and beautiful linen upholstery. 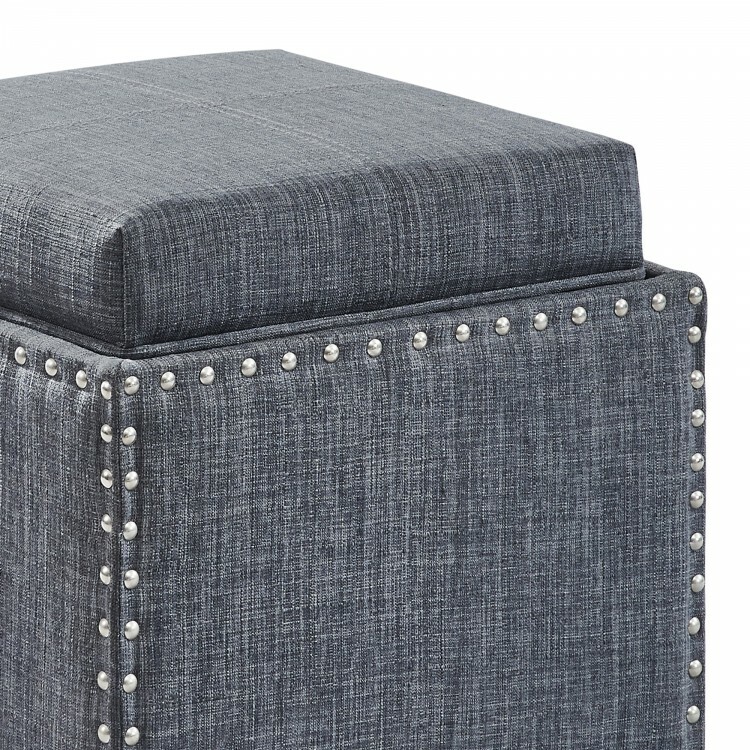 The Blaze's appearance is further enhanced by a stylish nailhead trim. Need extra space to store your blankets? The Blaze opens up to reveal a handy storage compartment. The Blaze is available in your choice of brown or slate grey linen. 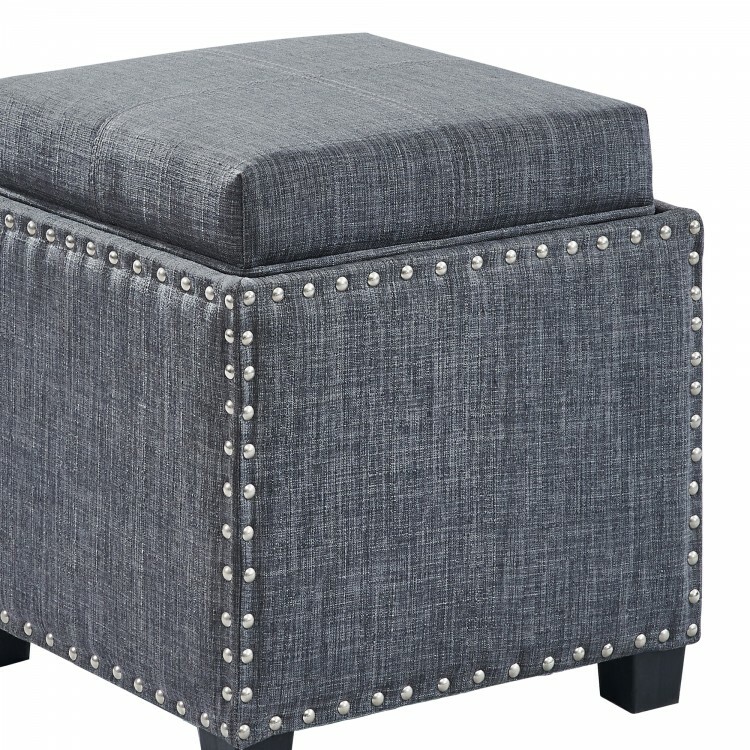 Product Dimensions: 18"W x 18"D x 18"H SH: 19"